Those of you who've been looking forward to the "music inspired by" album for Mockingjay - Part 1 that is currently being curated by Lorde, we have some new tidbits regarding the album which is released on November 18! 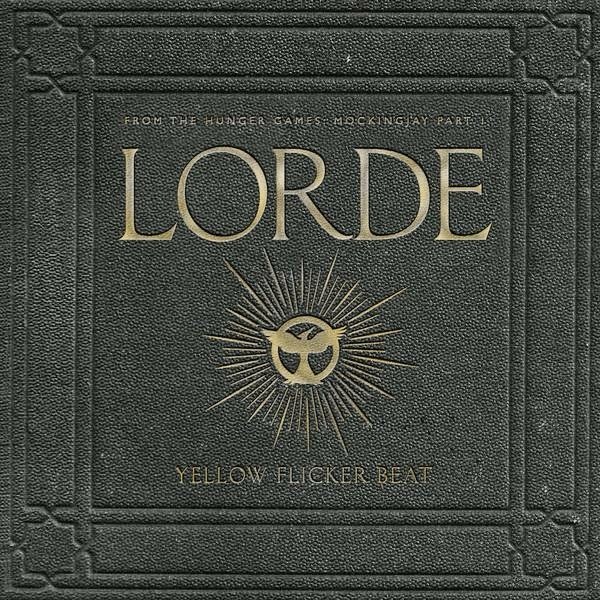 Yesterday, Lorde revealed the title of her lead single for the album on her Twitter - Yellow Flicker Beat. The single will be released (we assume digitally at first through iTunes, Spotify) next Monday, September 29! Yellow Flicker Beat will be featured at the start of the ending credits of the film. "I have gotten a mix of really young, fresh, unknown artists and just legendary, epic musicians," Lorde said, noting that she couldn't reveal any names. "The music is so (expletive) cool."